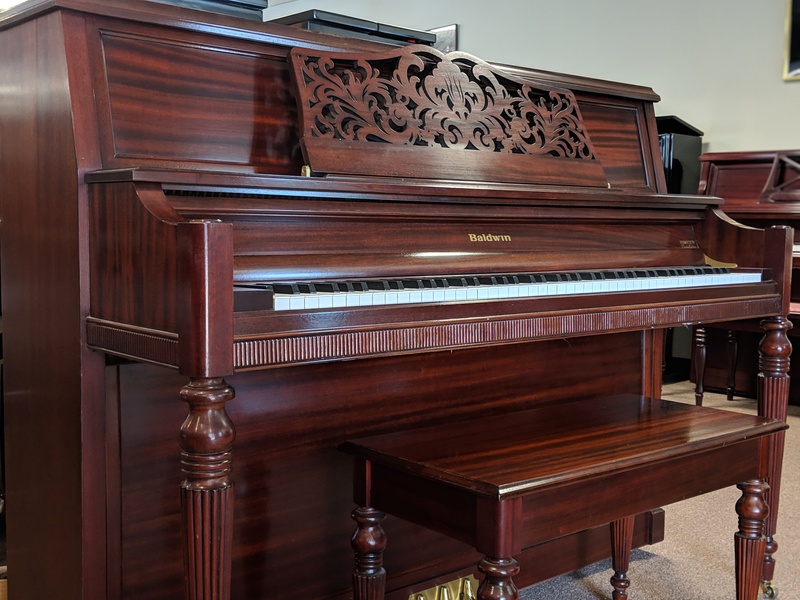 This is one of the last American Made Baldwin Hamiltons and is in perfect condition. 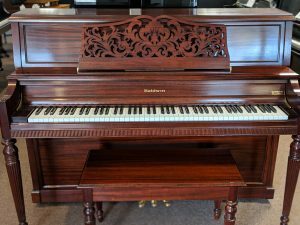 The case is beautiful and features decorative carved legs and music desk. 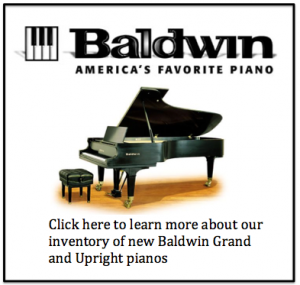 The piano demonstrates the famous “Baldwin tone” with a flawless action. 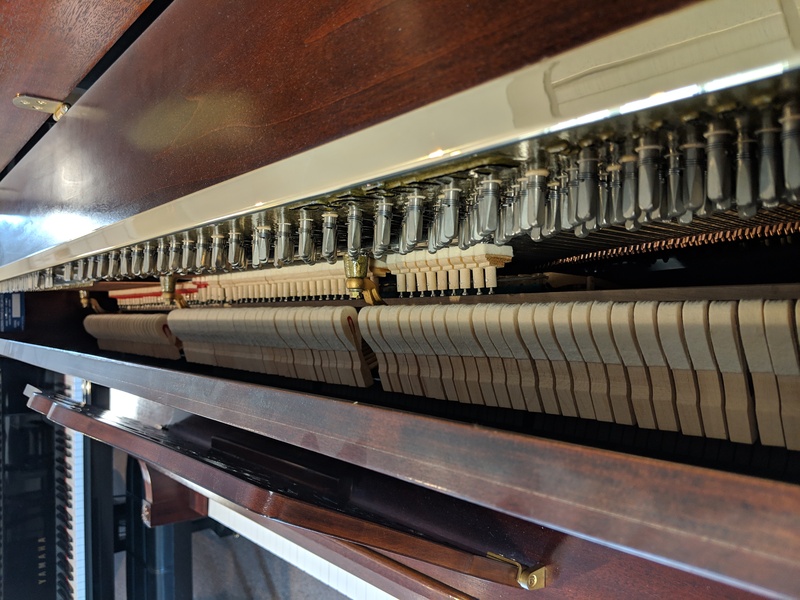 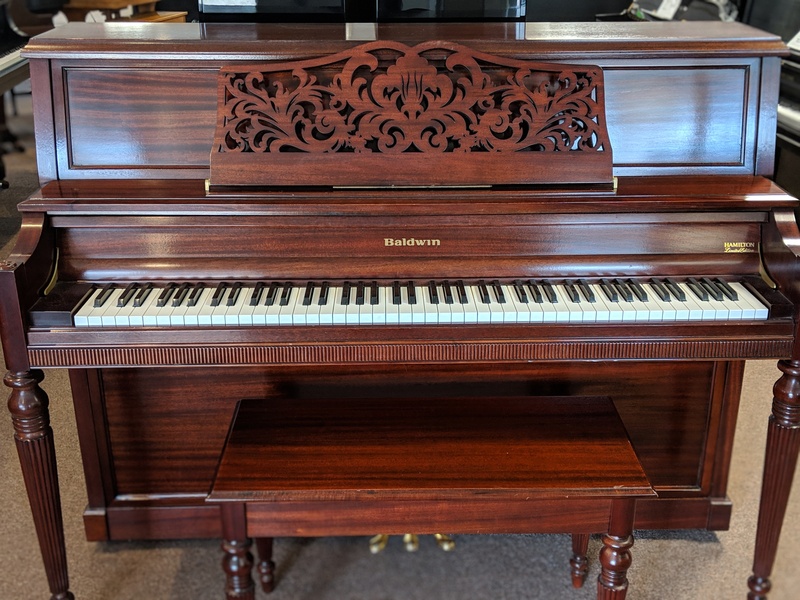 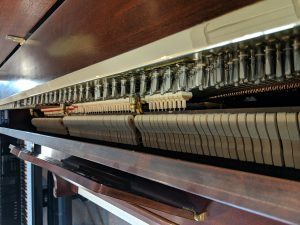 The repetitions and accuracy of this upright piano are incredible! 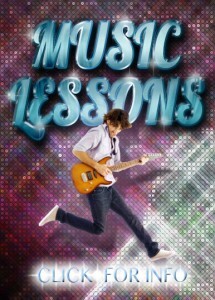 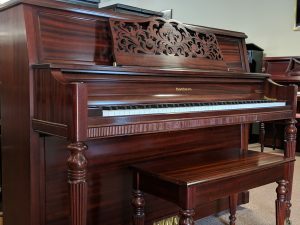 Piano Mill includes delivery from our professional moving crew and an in home tuning.